Welcome on my website. You will find around there all the informations regarding my sound and music practice. Happy walking around. I found The Border Studio with Michael Seminatore (2006), dedicating my work to sound mixing and live recording. Then, I decide to built my own mixing room, all thinking and made by myself. I wanted it spacious and friendly. I work there since november 2013. 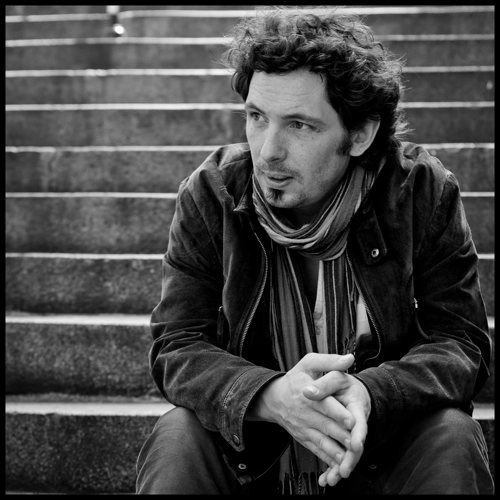 His taste for a whole range of musical forms , from jazz to rock, from the most acoustical to the most experimental, leads him to rub shoulders with the biggest names in the jazz circles of France and the Paris underground as well. From the stage to the studio, and vice versa. The voice is often at the heart of his work, as in Yves Rousseau’s Poète, Vos Papiers!, the sextet Furrow revisiting Cole Porter, Yves Robert and Elise Caron, Kamilya Jubran and Nhaoul or Claudia Solal and Spoonbox. Smart projects are underway: a re-reading of the history of the Opera by Laurent Dehors, Régis Huby’s All Around for voice and twelve musicians, Wasl with Kamilya Jubran, sarah Murcia and Werner Hasler, Nos Futurs, with Christophe Rocher, Beñat Achiary, Mike Ladd and Anne James Chaton, Drift with Laurent Dehors ….